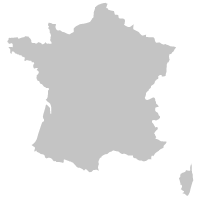 You can here see 4 holiday homes, town houses, villas or holiday apartments in Provence, Côte d'Azur + hinterland. Charming townhouse for 4 persons with garden and big sunterrace in the center of the provencal medieval town Bargemon, only 35 km north of Cannes. 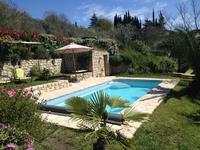 Charming, well laid out 2-storey villa of 135 m2 with room for two families - 8 people. Undisturbed location with great views and private pool. Good platform for perfect holidays. 8 persons 4 bedrooms Dishwasher Washing machine Pool Internet - Adsl Pets allowed Distance to the sea	: 35000 m.
Genuine Provence charm in 140 m2, newly refurbished 200-year-old stone house. 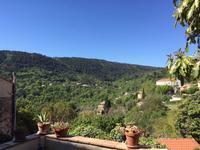 7500 m2 undisturbed nature land with pool and fantastic views. 6 people. 3 bedrooms. 6 persons 3 bedrooms Dishwasher Washing machine Pool Internet - Adsl Distance to the sea	: 45000 m.